Can you name all of the 7 Sake set? 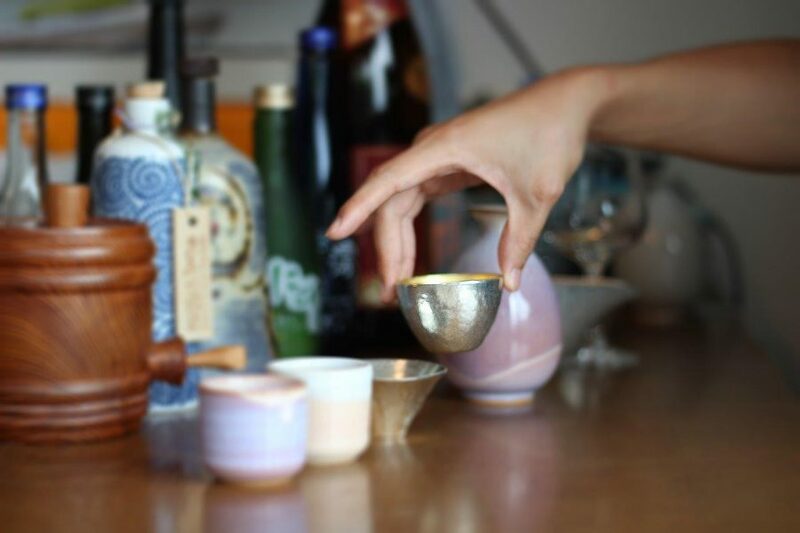 Sake can be served in a wide variety of vessels, ranging from small Sake cups to wooden Sake boxes. 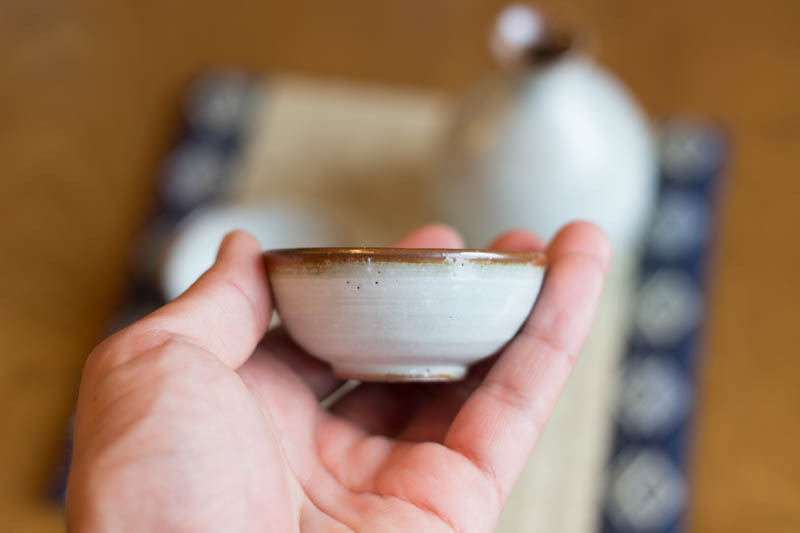 Of course, you can and should drink in your favorite sake set of your own choice, but you may be able to enjoy it better if you learn how different types of sake vessels give different textures and aromas. 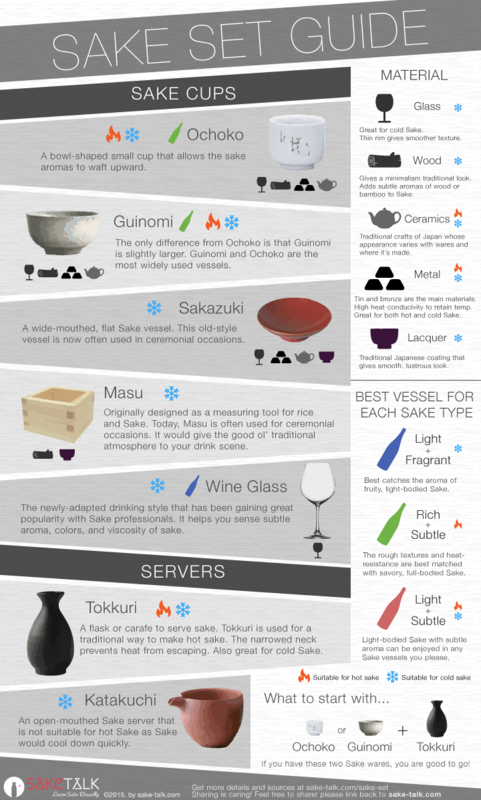 Learn visually with the complete guide to Sake set! Sake flavors and aromas alter as its temperature changes. Sake is best served in a small cup so that you can empty it before the temperature of Sake changes. The wider the mouth of the cup is, the more easily you can sniff out the Sake aroma. This is because oxidization of Sake and volatilization of aromatic elements speed up. 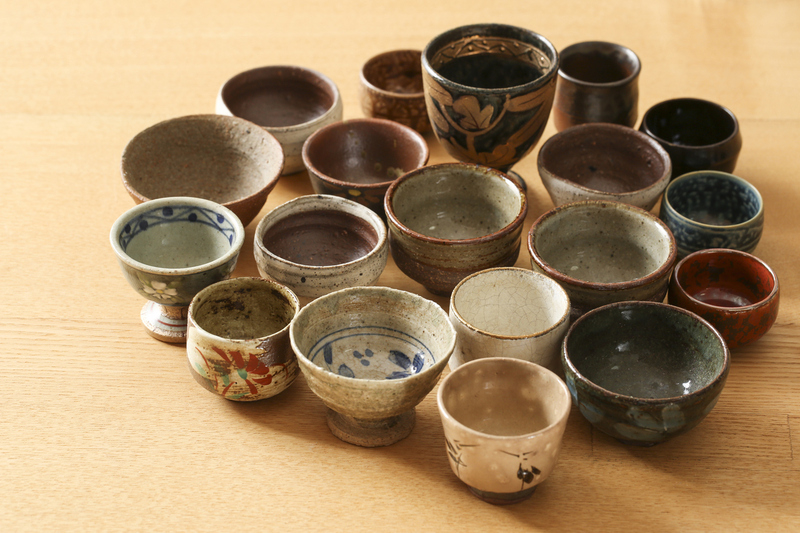 Some believe shapes of Sake cups affect the taste of Sake (e.g. trumpet, bud, straight and bowl shapes). However, their effect on Sake taste has not been scientifically proved and remains controversial (neither is a wine glass). One common belief is that the shape of the Sake cup directs the Sake itself into the best area of the mouth. This is based on false ideas about the nature of taste buds on the tongue, such as the thoroughly discredited tongue map. As for the aroma, if you want to sniff out the aroma (especially for aromatic Ginjo type), just stick to a bowl-shaped Sake cup. Just like wine, you can swirl and detect aromas the best in this way. 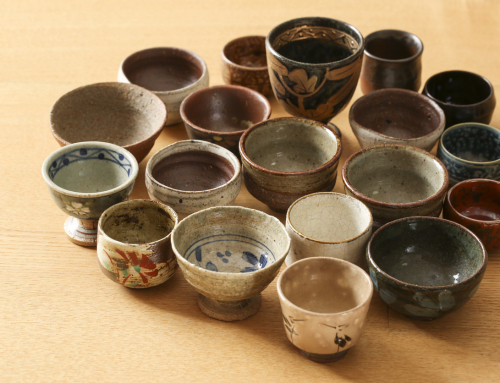 Having said that, let’s look at the list of 5 Sake cups! Ochoko is a small Sake cup. It’s a small cylindrical cup (about 3-6cm in diameter) that you might have probably seen if you’ve been to Japanese restaurants in your countries. 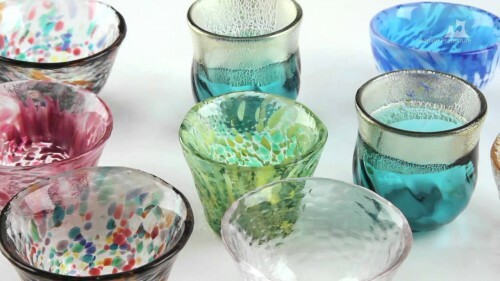 You can enjoy the variety of sake cup designs, colors and shapes, indulging yourself in the Japanese traditional world. 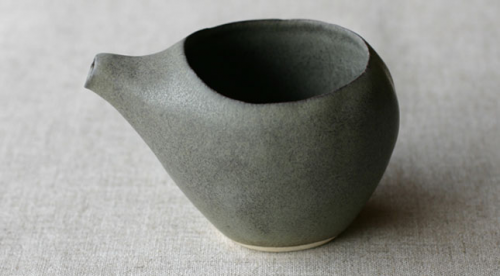 This sake cup usually broadens at neck to allow the sake aromas to waft upward. Ochoko and Guinomi are the most widely used sake vessels. Guinomi is a Sake cup, slightly larger than Ochoko. Apart from size, Guinomi follows the same characteristics as Ochoko. 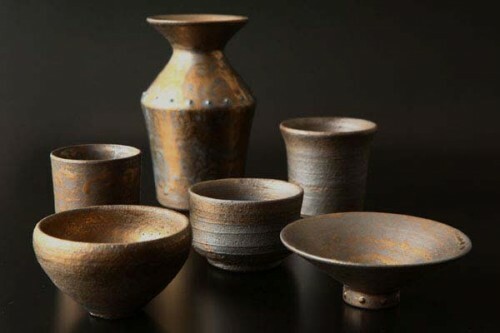 Guinomi made from pottery with rough texture is the best for hot Sake. A wide-mouthed, flat Sake vessel that is regarded as an old-style. It continues to be the ceremonial favourite, often used in Shinto-related ceremonies. This cup is most formally lifted to the mouth with two hands: one to hold the bottom of the cup and the other to hold it on the side. Available in a number of sizes from the most minute to a large showpiece, the sakazuki most typically holds only a few sips. 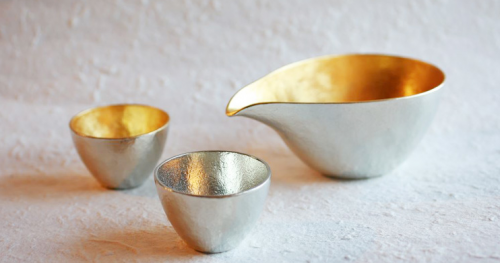 Sakazuki are often beautifully decorated and usually made from porcelain, earthenware or lacquer but some are available also in gold, silver and glass. 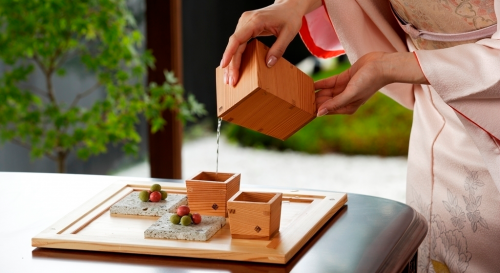 This wooden square box was originally designed centuries ago as a measuring tool for rice and Sake. Generally used in ceremonial occasions today, Masu is rarely used at home. But it doesn’t mean you can’t use it at home. If used, it would give the good ol’ traditional atmosphere to your drink scene. 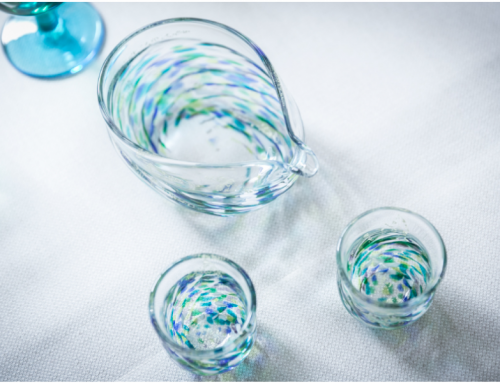 The newly-adapted drinking style that has been gaining great popularity with Sake sommeliers and professionals. It helps you sense subtle aroma, colors, and viscosity of sake which you could not fully recognize in traditional sake vessels. 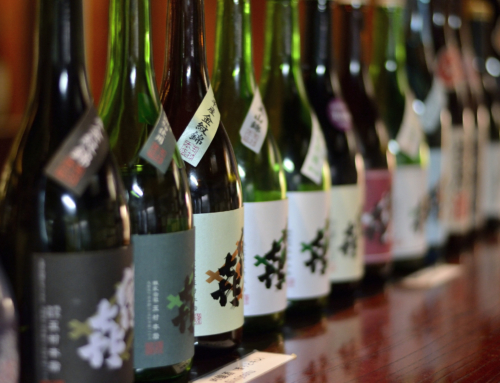 There’s even a Sake competition, Fine Sake Awards Japan which assesses which Sake performs the best in a wineglass. 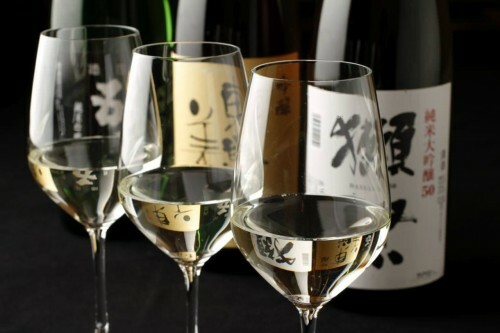 Aromatic Ginjo type Sake is best served in a wine glass as you can sniff out its aroma. Tokkuri is a flask or carafe to serve sake. Traditionally, the sake-filled tokkuri is warmed in a pan of hot water to make hot sake. 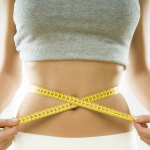 The narrowed neck prevents heat from escaping. Tokkuri is also used for cold sake. Serving cold sake from tokkuri or straight from the sake bottle is of your own choice, but many prefers tokkuri as it gives you the traditional atmosphere. 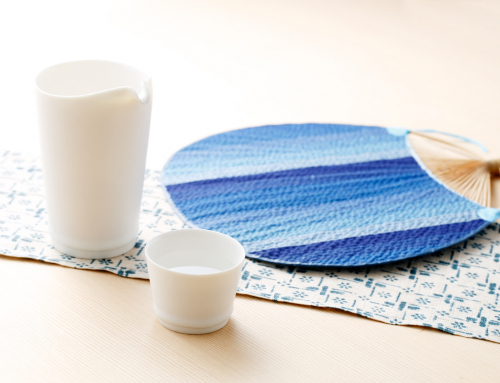 Sake sets often refers to a combination of Tokkuri and Ochoko. Katakuchi is an open-mouthed Sake server. Varying in shapes, Katakuchi is an alternative to Tokkuri. With its widely opened mouth, Katakuchi is not suitable for hot Sake as Sake would cool down quickly. Therefore, Katakuchi is best for cold and room-temperature Sake. It is not limited only to serving Japanese sake; it also can be used as a salad dressing pot, and also a vessel to serve many other dishes. Materials of Sake set matter. Some materials retain the temperature of Sake longer, while the texture of some suits certain Sake types. Great for cold Sake. Thin rim gives smoother texture. Especially, a wine glass best suits aromatic Ginjo type Sake. Gives a minimalism traditional look. Adds subtle aromas of wood or bamboo to Sake. 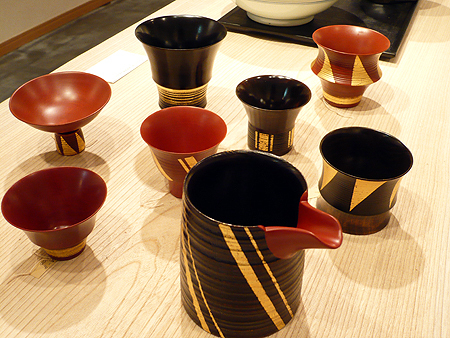 Traditional crafts of Japan whose appearance varies with wares and where it’s made. Those wares are heat-resistant and suitable for hot Sake. 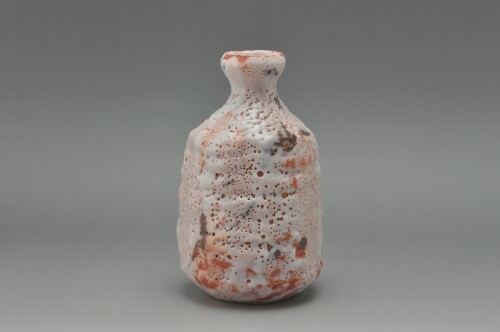 Especially, a pottery piece with rough texture best suits the savory Junmai type Sake. Tin and bronze are the main materials. They have high heat-conductivity and retains the temperature of Sake. Great for both hot and cold Sake. Traditional Japanese coating that gives smooth, lustrous look. 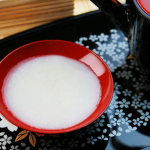 It gives smooth texture and is great for light-bodied cold Sake. Best catches the aroma of fruity, light-bodied Sake. Swirl and sniff out the fragrant aroma of this Sake type. This Type includes Daiginjo, Ginjo, Junmai Daiginjo and Junmai Ginjo. The rough textures (uneven surface) and heat-resistance of a pottery piece are best matched with savory, full-bodied Sake. Ochoko and Guinomi are relatively small in size with not-too-wide mouths. 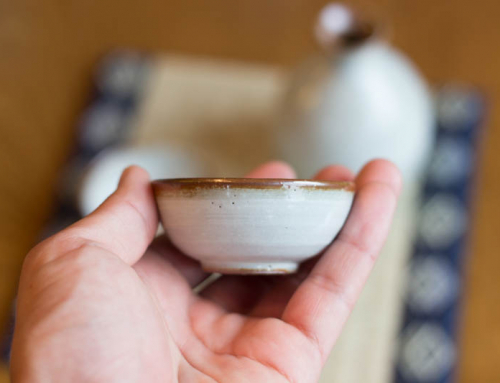 Thus, you can empty the cup before hot Sake cools down or before aroma volatilizes. This type of Sake includes Junmai, Tokubetsu Junmai and Kimoto. Light-bodied Sake with subtle aroma can be enjoyed in any Sake vessels you please. It’s good both cold and hot. 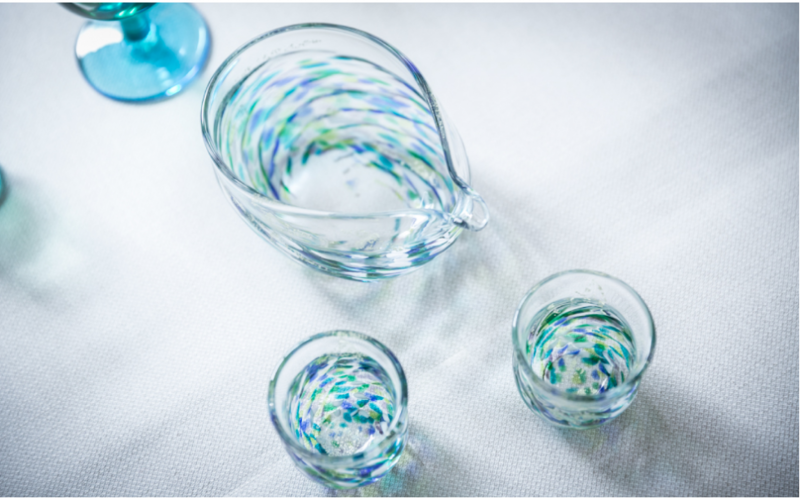 You may want to refrain from using a glass vessel for Nigori Sake (cloudy Sake) as Sake lees stick to the glass after emptying the glass and it may look ugly. This type includes Honjozo, Tokubetsu Honjozo, Nama Sake and Nigori Sake. 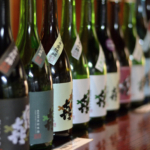 Check out our Basic Sake types page for further information on Sake types. So.. Which Sake Set Should a Sake Beginner Buy? You don’t have to buy all of them, of course. 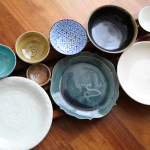 If you’re a beginner, start with ceramic Ochoko or Guinomi and ceramic Tokkuri server. 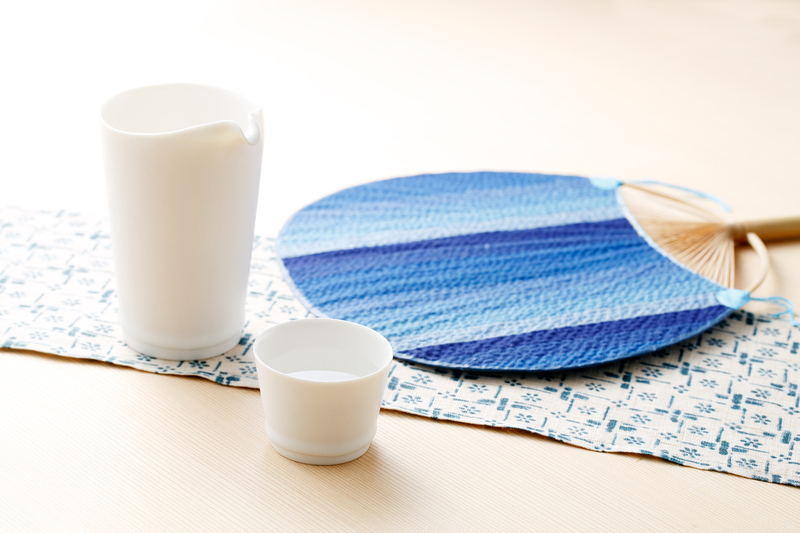 With these, you can enjoy both hot and cold Sake and they match with any type of Sake! If you have more chance to drink Sake, start making your own collection of Sake set. And pick one of them when you drink, depending on your mood, climate, Sake types, serving temperature, etc.! 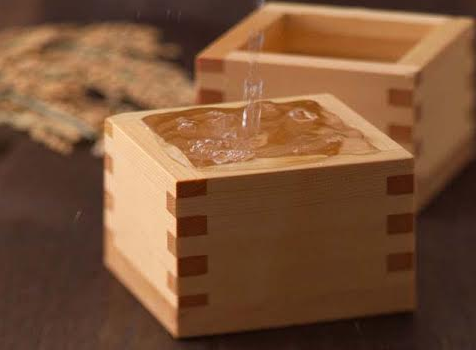 Where to Buy Sake Set? We’ve launched a Sake Set Shop! 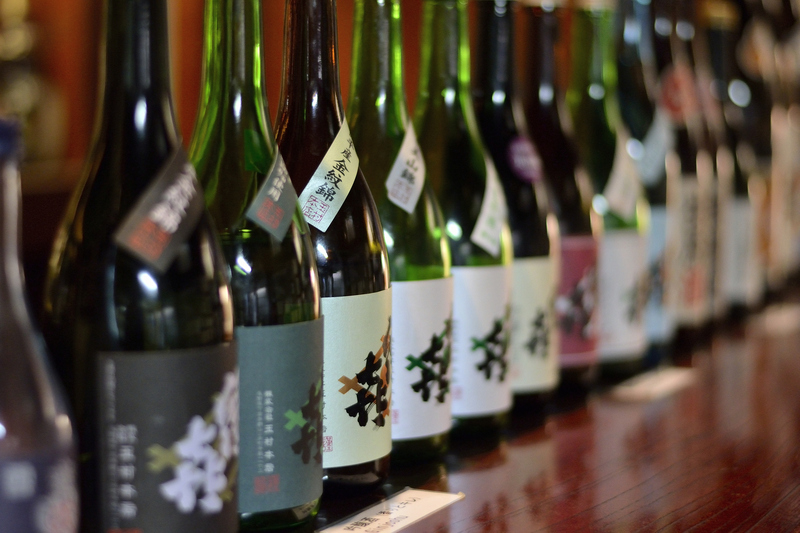 You can select from a wide range of superb Sake set that won’t be found anywhere else! SAKETALK Shop has the largest selection of Sake set for worldwide customers!